The following videos and articles are for informational purposes only. It is no secret that the second amendment debate in the United States is getting very intense. None of us wants to think that things will escalate, but if they do you…you may find having a few basic skills are invaluable. I can not stress enough that these substances are dangerous. Trying these things at home for simple entertainment would be foolish. I am educating myself on substances and techniques because one day it may make a difference. I am an American who values my freedom and I will not go quietly into the night. Educate yourself and enjoy! Napalm is a preferred substance for many because of burn duration. 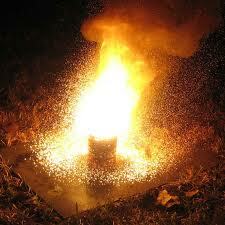 Homemade Napalm can burn 20-30 times longer than other flammable substances. Do some further research on this subject. I am not an expert on homemade napalm, or any of today’s topics for that matter, but I have done some reading which suggested that other substances may work better than styrofoam. Styrofoam is plentiful however, especially for pack rats like myself. I have a closet full of it. We have all seen Molotov Cocktails in movies. Effectiveness is very limited compared to the other things we are talking about today, but the cocktail is also very easy to make. A lot of revolutionary images I have seen on television tend to picture people randomly throwing burning bottles with no chance of a desired result. Do some research and think about real uses. The cocktail will not stop a tank but it does have uses for starting fires in effective “hit and run” guerrilla type warfare. If you are in the street trying to fight a tank then you aren’t probably long for this world anyway. What you call bravery, I would call stupidity. What is Tannerite and Where Can I Buy It? Do some research. Tannerite is perfectly legal but also very dangerous. You can buy it from a large number of distributors all over the USA. What is Thermite and How Can I Make My Own? You owe it to yourself to become educated. If the people of the United States ever find themselves in a battle with foreign or domestic enemies that have superior military weaponry, it will be crucial that we know how to improvise. There are literally hundreds of websites and videos that can show you what to do with simple household substances. Do some research on things like homemade grenades and bombs. You will be surprised what you find. The four sources listed in this article are simply the tip of the iceberg. These things are no longer the tools of vandals and terrorists. Today they are valuable skills being learned by American Patriots. I sincerely hope that the things I am learning prove to be a waste of my time. At the same time I look around me and believe that critical mass is upon us. I must educate myself because I believe that revolution can and probably will now happen in my lifetime. I am not calling for a revolution but I am preparing for it. If you have anything to share with our readers, please list them in the comments below. God Bless America. God Save the Republic. This entry was posted in Uncategorized and tagged Molotov Cocktail, Napalm, New American Revolution, Tannerite, Thermite, United States. Bookmark the permalink. “IF” only applies in so much as how long obama and his cronies can remain in control. “When” depends on how long it takes to implement gun control. The big questions are: How much are you willing to sacrifice to protect the Constitution? What is it worth to you to insure your children’s freedom from tyranny? What is it worth to guarantee their freedom to accomplish the American Dream? Finally, what am I doing to as a member of our society to help? “I for one am acutely aware of what you are doing Dean and appreciate your efforts”. PSS: Hint* Always keep a video camera handy. Right next to a loaded gun. Thomas, people don’t understand I guess where we are coming from. The more we put this stuff out, the less likely anything is to happen. Our government needs to know that we are smart, we are strong, and we are united. There have been people that have scolded me already for printing this, but we all have our own opinions. My opinion is that we have to be strong in the face of these scoundrels and let them know that it will not be easy to take control. If we keep signing petitions and sending letters we are just following the nature of our own insanity…doing the same things over and over and expecting different results. These plans have been in play for a long time, in my opinion. People need to wake up and prepare themselves before it is too late. Jeff, I am getting a lot of flack on Facebook for this but it is simply information that could come in handy some day. I don’t see a problem with featuring content that is already available all over the net. I am just trying to draw attention to it. Thanks for your continued support my friend. I consider myself a patriot and I also have friends who in local and state law enforcement. When speaking with them, I get the impression they are no happier with the turn events than I am. That being said, who do you feel is going to enforce any confiscation law? Do you feel that our neighbors will actually shoot us? I would not want to shoot them. There are lots of rumors and I don’t want to dignify them as any more than that, but some people think the UN is going to be involved. Some also think that the landscape is being cleared for a Chinese invasion. Watch the policies that our government establishes toward China and you will see where those ideas are coming from. I don’t think it’s a matter of shooting your neighbor because if it really hits the fan, your neighbor who thinks you are crazy now will be hiding behind you. That’s my bet. I pray I will never need this information, but the trends are careening ever faster towards this necessity. I will keep this against the day I need to protect and defend mine and those with me. Thank you Dean. You are welcome Michelle. I pray I never need it either. People think I’m a war monger or whatever…I’m not. I just believe that peace is only held through mutual respect. I learned that from Ronald Reagan I guess. The Soviets would not launch on us because of the fear of retaliation. If our government fears the people then I believe we have a chance to avert this. If they don’t fear us then we have a real problem. With the Southern border TARS system being deactivated as of this March 15; the 100,000+ foreign troops already station here on US soil; the Chinese “occupation” of the old Long Beach Naval Station in Long Beach, CA”; with the Chinese in 100% control of the east and west ends of the Panama Canal as of Jimmy Carter’s returning the Canal to the Panamanian government…and them turning immediately around and leasing the Canal in perpetuity to the Red Chinese Communists; with several 50 square mile Chinese free ‘Trade Zones’ already under construction throughout the US Mainland; with the Chinese government building the world’s largest container shipping port in the Caribbean; the Fast and Furious problem at the Mexico border that has desensitized the American populace for the last two years; with NORTHCOM increasing hundreds of thousands of soldier presence in the NW Montana region in the last two years; What the hell do you think they are gonna do to us? I must commend you Alex. If everyone would inform themselves as much as you obviously have then we would have never let it go on this long. Now all we can do is prepare. Absolutely Dean. I’m sick and tired of being Mr. Nice Guy Conservative. I’m not going to be nasty, or ugly but I’m not backing down, not giving in, not compromising, not giving one inch on what I want. Full restoration of the Constitution. You are correct. We’re smart and informed and we need to make them fully aware of what awaits them if they continue on this path. Lordchamp, a few people agree but I must admit I am a little concerned. I have been hearing from people all day that are too scared to stand up and let themselves be known. Dangerous stuff, but our First Amendment allows us to trade this information in case we may need it. 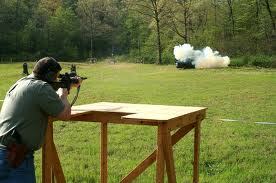 Of all these weapons, tannerite and thermite are immensely effective. Molotov cocktails have limited usefulness and may not work all that well against armored vehicles. Being totally realistic, one cannot hope to produce a blasting cap comparable to commercial products. The precision of modern manufacturing can produce caps cheaply and safely. The actual loading process is a dangerous one, but can be made relatively safe by taking the precautions outlined in the processes below. The home producer, can however, manufacture a cap that will work 99% of the time. These “homemade” caps will detonate most of the high explosives that their commercial counterparts will. Fuse caps are blasting caps that are fired by the flame from a safety fuse. This flame ignites the flash charge of loose black powder. This, in turn, ignites the primary explosive. This primary explosive makes the transition from burning (deflagration) to detonation. These caps can be loaded as a simple cap or a compound cap. The simple cap has only the flash charge and the primary explosive. The compound caps have both these ingredients plus a high explosive base charge. The compound caps are usually a good deal stronger due to the high explosive base charge. To manufacture these caps the explosives are simply pressed into the cap container. This container should be 1/4 inch in diameter (or larger) copper or aluminum tubing 1.25″ long or a 5.56 mm NATO spent cartridge. The tubing can have one end sealed with a wooden plug, or simply be crimped closed with a pair of pliers. The burr should be removed from the open end of the tubing. After removing this burr, these tubes would be ready to load with the explosive charges. When using a 5.56 mm NATO spent case the primer would need to be removed. After this has been done the flash hole would need to be enlarged enough to accept the fuse. This could be accomplished with a hand drill or by using a nail. The cap case would then be ready to insert the fuse and load with the explosive charges. The cap tubes would need the base charge to be pressed in first. This pressing should be done with a close fitting wooden dowel. This should also be done with the tube supported rigidly from underneath and surrounded with bags of sand to absorb the explosion, if necessary. Find in this section a drawing of a loading apparatus. This apparatus would be safe as the operator would be remote. This press would be simple to make and would be highly recommended. Next, the primary charge should be pressed into the tube. CAUTION: Primary explosives are very sensitive to friction and impact! Extreme care should be taken in this step of the procedure. A foul up here could be very dangerous! After this primary charge is pressed, a very small amount of black powder is placed on top of the primary charge. This will ensure the ignition of the primary charge. The fuse is then placed in the mouth of the filled tube, so that the end contacts the black powder ignition charge. NOTE: Use only good quality safety fuse available from: Westech Corp. P.O.B. 593, Logan UT. 84321, Zeller Enterprises, P. O. Drawer W 2, WickenburgA Z. 85358. Good fuse can be made by soaking cotton twine in a saturated solution of potassium chlorate. This, however, will not be as reliable and therefore not as safe. A small wad of cotton is then pressed on top of the fuse and igniter charge so that the fuse can exit the tube on one side. This is then crimped with pliers. Care should be taken to ensure the primary explosive is not present in the area of the tube to be crimped, as this crimping with this primary in between the tube walls could very well cause the premature detonation of the cap. This cap would then be ready to use. Simple caps can be loaded similarly with the deletion of the base charge in the loading. They can also be loaded into a .22 magnum spent cartridge case in a manner similar to the method above. These small caps will not be as powerful as the larger caps. Some of the primaries would not be suitable, and all of the others would need their primary charge doubled for maximum performance. The 5.56 mm cartridge case would be load in the exact opposite of the copper or aluminum tube caps. The fuse would be inserted into the case through the flash hole. The black powder ignition charge would then be place in the bottom of the case. The primary would then be placed in the bottom of the case. The primary would then be pressed into the case carefully and of course on top of that would be the base charge. After these were pressed into the case a small ball of cotton or paper would be pressed into the case to fill the remaining portion. Then the end of the case would be crimped with pliers to close the cap. This cap would then be ready to use. 1/4″ aluminum or copper tube. Igniter: Black Powder .20 G.
MMAN (3/8″ tubing) 3.0 G.
As you can see by the above chart the nitromannite is listed as both a primary and a base charge. The reason for this is, that while it is not actually a primary explosive, it tends to function as one. Nitromannite used as a base charge makes use of the 8000+ M/sec (26,500 ft/sec). detonation velocity. This nitromannite is a very touchy substance with sensitivity approaching that of nitroglycerin. It would be best used as a last resort. PRIMARY TACN 1.5 G .
This is given due to the ease of manufacture. This primary is stated in literature to detonate TNT.. The need for a heavy wall thickness detonator capsule would limit this to 5.56 mm shell detonators or larger empty shells. The use of MMAN would require waterproofing the finished cap by dipping in molten wax or paraffin. Electric blasting caps offer a good deal more versatility to the blaster. This allows better and more remote blasting operations and the possibility for timed blasting applications are great but cannot offer the versatility of application. The electric blasting cap (EBC) can. EBC’s are very simple in their function. Current is passed through the two wires leading from the cap. This current, due to resistance, heats a small “bridge wire” which in turn fires an ignition mixture. This, in turn, fires the primary explosive and base charge respectively. The problem with improvisation is finding a suitable performing bridge wire which will give reliable performance. Earlier literature has stated that the “guts” from light bulbs will work. They will work but cannot be expected to resist corrosion produced by some situations and could not be expected to give stable reliable detonation instigation. Take a spent 7.62 mm NATO case. with a small pin punch, nail or other small slender rigid object, reach into the case and knock out the fired primer. Enlarge the flash hole with a 1/8 inch diameter drill. De-bur this enlarged hole, so that the wires passing through will not have their insulation cut by these burrs, and thus causing a dud. Pass two sections of 22 gauge insulated wire, twelve inches long, through the 1/8 inch hole so that they go completely through the case, and their ends are free of the case mouth. Strip 1/8 inch of the insulation off the wires protruding from the case mouth. Cut a 3/8 inch section of .01 inch “Nichrome wire”, which is available at any hobby store or from nearly any electronics supplier. Nichrome wire is the wire inside toasters and other appliances that gets hot when current is passed through it. Discarded appliances could be another source of this wire. This piece of Nichrome wire is spliced into both of the wires at the case mouth. Splice the 22 gauge wires to both ends of the Nichrome wire bridle. This splice can be formed by twisting the Nichrome wire around the upper part of the stripped 22 gauge wire and the lower part of the 22 gauge wire bent up to form a loop. A drop of solder is placed on these splices to ensure a good circuit. Outside dimensions of this improvised “bridge wire” should not be greater than .28 inches. A small wooden support should then be placed above the junction of the bridge wire. This will help the improvised bridge resist deformation and breaks from loading the cap. This wooden support could be made of a wooden match stick cut to length. This support should be 1/4 inch or less in length, with the ends notched out for the 22 gauge wire. These wires should be glued on the support stick. This whole bridge wire unit should be narrow enough to allow it to be pulled inside the 7.62 mm case even with the priming mixture on it. The wires should be twisted together on the other side of the wooden support after the glue on the ends of the support stick have dried, securing the wires in place. The first two of these compositions should be used by mixing and slightly dampened with acetone. This will form a putty type mixture. This is pressed very gently around the bridge wire assembly. Remember, you have to get this back into the case, and when dry this priming mixture will be as hard as rock. It should also be said that great care should be taken to ensure the continuity of the circuit. This can and should be checked by using a ohm meter. Let these dry, and they are almost ready to load with explosives. You may want to test one of these before loading to see how they work. In tests, these bridge wires when used in ignition squibs, where 98% reliable. They are also sensitive to 2 “C” batteries or larger. Gently pull the bridge assembly into the case with the wires extended from the other side: When firmly in the case as far as possible, put several drops of “model airplane glue” in the recess where the spent primer was. This is allowed to dry. When dry, these are ready to load. These are loaded with the same amounts of explosives as the fused caps so use the table in that section of this book to find the quantity to load. The only difference is the amount of black powder igniter used. Use 1/8 to 1/4 gram of black powder for the igniter charge. This is done to cushion the bridge wire when the primary and base explosives are pressed in. After the addition of the black powder igniter, tap the case to settle this charge. The primary explosive charge is very carefully pressed on top of the igniter charge with a wooden dowel and remotely if possible. Best results will be obtained with the press apparatus. See the drawing. The base charge is then pressed on top of the primary charge. Check the circuits, one at a time, with a OHM meter from behind a barricade. Press cotton in the remaining part of the case, a crimp with cotton, in the part of the case that is being crimped. These can be water proofed by dipping the completed cap in hot wax for just long enough to immerse them completely. These caps are ready to use and will equal a #8 or #10 blasting caps. If you wish to learn how to make industiral strength stabile explosives come up on-line and say so, otherwise I will assume this is only a pud-knocker exercise. Acetone and ping pong balls make damned fine napalm. Ping pong balls are made from nitrocellulose plasticized with camphor. Gas/styrofoam tends to form a skin/shell when burned that eventually smother it out. Acetone/nitrocellulose does not have this problem, because the skin itself is flammable. You can add a bit of finely powdered magnesium to increase the temperature of the flame. @Patriot Soldier: let’s talk explosives… Did that information for the assembly of a blasting cap come from the Improvised Munitions Handbook? It looks familiar and I remember seeing the diagram for building the press from wood, but can’t recall where I’ve seen it before. I am an aspiring amateur pyro and would love to talk more about explosives.